The idyllic little village of Kleinarl is situated at the edge of Hohe Tauern National Park at an elevation of 1014 metres. The view of the surrounding mountains combined with the friendliness of the residents will make you feel right at home here. Your apartment is located just 200 metres from the village centre on the sunny side of a little dead-end street. Your apartment is part of an apartment house that has been fully updated and renovated to a 5-star level. You can use the many facilities in the complex, such as a very extensive spa area (800 m2) with a large indoor pool, a sauna (including an almsauna, a tepidarium, a steam room with herb and salt treatments, a sanarium, a special children's sauna and more), a whirlpool and optional massages, as well as bread roll delivery service or a sumptuous breakfast buffet (some charges apply). The apartment is very well maintained and furnished in a modern design with a lovely ambience. You have two bedrooms with a double bed, a living room with an open-plan kitchen, a bathroom and a separate toilet. There is a wonderful view from the balcony. You can also use the large shared garden, terrace and sunbathing lawn with sun loungers. As you enjoy some well-earned relaxation, the kids will have a great time playing in the separate game room or outside, where you will find a swing, a slide and more. From mid-June to mid-September children between the ages of 4 and 14 can participate in the &quot;Abenteuerland&quot;, which always offers something exciting to experience on every workday. We are with z "n two of a week a guest in Montana. The view from the balcony every morning was a great pleasure! From a hill you look at beautiful mountains and a friendly village where you will find a few good restaurants. Later - at the end of the valley -.. the beautiful Jägersee a beautiful mountain lake with good hiking trails An hour's drive from the beautiful Salzburg An hour in the other direction and you're on Lake Zell, also very rewarding. On summer vacation with two teenagers and we have entertained us fine. The weather was fantastic which of course makes much difference but I'm sure you also you can with what the weather is just fine the feet. A beautiful apartment with great views and all the trimmings. When the dishwasher were already dishwasher. Spacious, very clean and super friendly people. Indoor and outdoor swimming pool which was large enough and a sauna. Nearby is really doing. Anything Beautiful walking and biking. The village wagrain can be reached by car in 10 minutes. Here you have everything you need. In kleinarl you do have a small fir but is incredibly expensive. We have Lammer and Liechtenstein klammen visited, the highest suspension bridge in the Stubernkogel tamed, the salt mine seen in Hallein, the grossclockner route driven, laundry welt visited in Wagrain, visited Burg Kaprun parties, gerodeld in Abtenau, day Zell am sea done and the city visited Salzburg. With an hour's drive everywhere you look. If we go that way again we will definitely book again with the Fam. Heitzmann and their amazing apartment montana. We had a wonderful holiday in this beautiful chalet. The apartment was not big but fully equipped and with a magnificent view. Both inside and outside everything was nice, clean and well maintained. The owners are very friendly. The area has a lot to do. With a Salzburgerlandkarte can be any day of the holiday filled with fun activities. 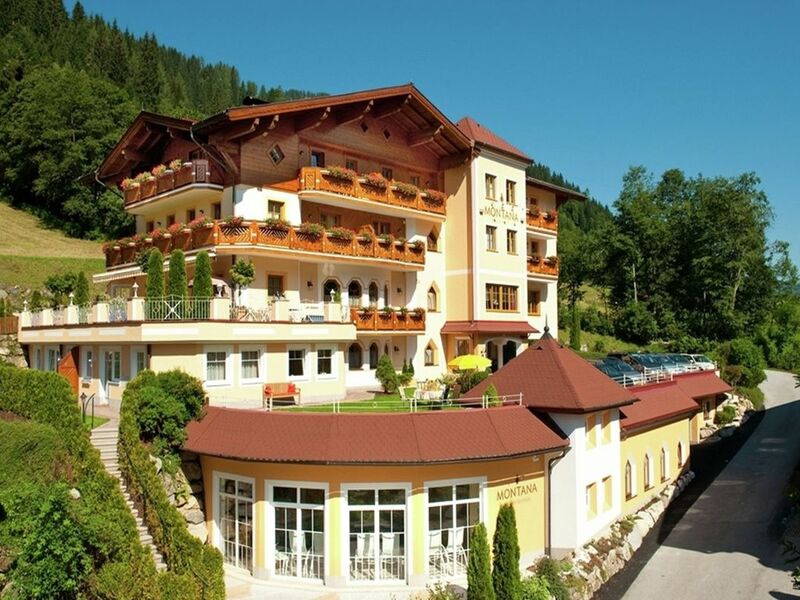 very nice quiet location, great spa for adults, optinial in combination with the adjacent hotel buffet breakfast and dinner booked at any time, very hard on every request einzugehenFür excursions to sites you depend on a car and the road out of the valley (20 min) must are just always come first.